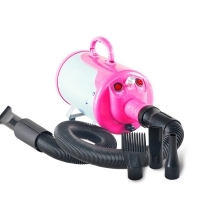 ZPLP 2800W Pet Dryer is designed for professional Dryer blower for your pet at home. Powerful airflow dries quickly and thoroughly, saving you time. 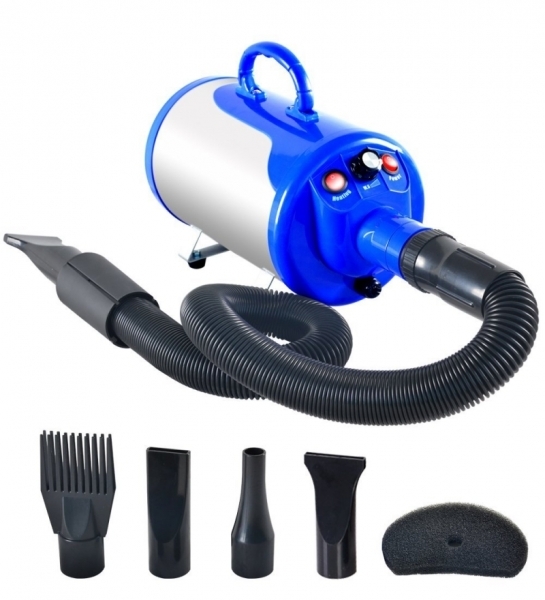 This dryer features Stepless Adjustable speed and temperature controls and low noise technology. 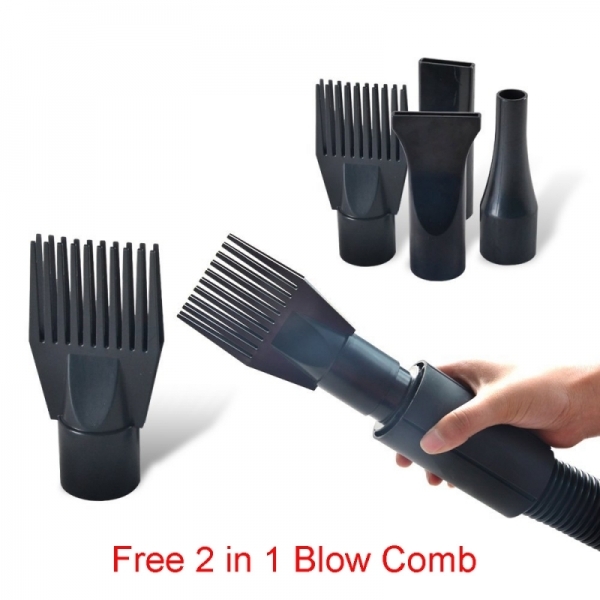 This units come with 3 standard nozzle, Plus we will addtional FREE 1 patented Comb Nozzle, enable comb during blow. Other then that, it come with full quanlity copper motor and with safety over heat protection control.